Samford University students have earned multiple honors in recent music competitions and auditions. School of the Arts students have participated in five different competitions and have received more than 20 honors for their vocal and instrumental abilities. Kathryn Fouse, associate dean for the Division of Music, praised the students for their excellent work and the recognition they received for their music. 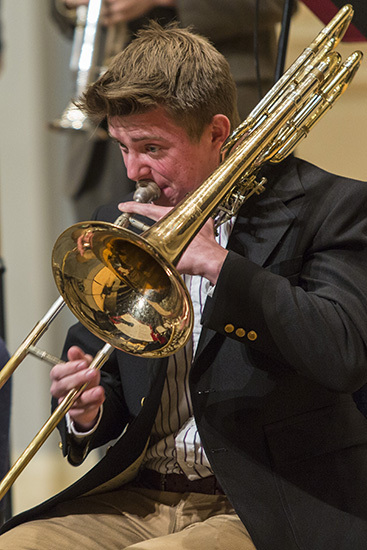 Among the winners was Conrad Shaw, a junior tubist from Brentwood, Tennessee, who received first place in both the instrumental and overall best performance categories at the Birmingham Music Club Guild Scholarship Auditions.